The GasBuddy app has made finding cheap gas prices much easier and quicker. If you’re like most drivers, you probably ask that question every time you need to fill up the tank. Sure, gas prices have gone down dramatically since the crash of 2008 when the average price of Regular Unleaded was as high as $4.114 per gallon and Diesel as high as $4.845. But even with the low gas prices of today, the average price of a gallon of gas is hovering around $2.340. And that’s still a lot for most of us. Saving money on gas, even if it’s just a few cents per gallon, can save you $100s over the course of a year. Thankfully, with cheap gas apps, like GasBuddy and Gas Guru, you can always find lower prices. You fill up your gas tank at one station only to drive past another station moments later to see fuel available at a much lower price. This is really annoying, especially if you’re trying to spend less each month or add more to your savings account. Wouldn’t it be great if you could always get the best price for gas in your area? An app like GasBuddy allows you to find the cheapest fuel prices where you live and across the country. Basically, GasBuddy is an app that brings you the best prices for gas. There are a lot of cheap gas apps out there, but Gas Buddy is arguably the best. It has more than 60 million users, making it one of the most popular apps for cheap gas prices out there. It’s much more comprehensive than others, but it’s still easy to use and navigate. Gas Buddy is really simple to use. It offers prices for gas stations all over the U.S. and Canada. With the app, you can locate the best prices for gas near you, by searching by zip code, city or state. Other users report the cost of fuel in different areas, meaning you can always get up to date figures. One of the best ways to use GasBuddy is to search by your city or your zip code. This will generate the cost of gas at different stations in or near the area where you live. Using this function is easy and it’s definitely a quick way for you to compare the cost of fuel in your area. If you’re at home or commuting to work and you need gas, then you can do a quick search and make your way to the station with the best prices. Simply searching for cheap gas stations near you isn’t the only way to find the best prices for fuel. GasBuddy also features a Gas Price Heat Map. This handy GasBuddy map shows you the price per gallon for fuel across the United States or Canada, depending on which country you select. You can also search this map by entering your city, state or zip code, and it will display gas prices based on your search. What’s great about this feature is that you can filter the results by the type of fuel you want, including regular, midgrade, premium, and diesel. As we said above, GasBuddy is an incredibly comprehensive app, which is one of the things that make it stand out from its competitors. Not only does the app allow you to search for the best gas prices near you and have a handy map you can use, but it also features gas price charts. These charts include statistics on the cost of gas over the past 18 months. Viewing these charts gives you a good overview of gas prices across the country, so if you travel a lot, they’re really handy. Another useful tool from GasBuddy is the gas price by state feature. Using this feature, you can view the price of gas in the state where you live or in any state that you plan to visit. If you’re planning to travel across the country, this feature is really useful. What’s great about GasBuddy is that it rewards you for using the app with points. 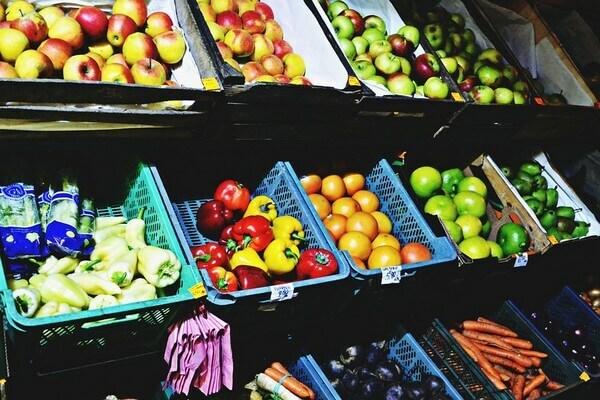 If you plan to use the app a lot, trying to earn points could be worth your while. Sometimes, the app provides bonus points if you complete certain tasks. If you want to learn more about how to earn points, and how many points each activity will earn you, then visit this page. 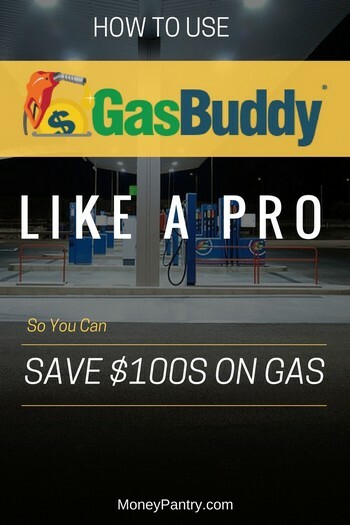 GasBuddy gives away $100 worth of free gas each day and all you need to do to be eligible for the daily draw is redeem your points for tickets. Once you’ve earned points and have used them to acquire tickets, you’re entered into a daily drawing and you have the chance to win free gas. It’s important to note that when it comes to points, there are some rules and limitations in place. The main limitation is that points can’t be awarded more than five times a day, per feature. So, let’s say you report gas prices six times in one day – under this limitation, you’d only be able to earn points for five of those reports. Also, you can only earn opinion poll points once per week, and for the Tell-A-Friend feature, you can only earn 1200 points each week. For more about the rules in place for points, visit this page. Another handy feature of GasBuddy that can really save you money is the Trip Cost Calculator. Using this tool, you can calculate the cost of any trips that you plan to take, whether it’s a commute to work or a trip across the country. The GasBuddy trip calculator is really easy to use too. The city you’re traveling from. Whether it’s a one-way or round trip. Once you’ve entered those details, and have clicked on the “Calculate My Trip” option, the app will generate the cost of the trip. This is a really useful tool to use, especially, if you’re on a budget and you’re planning a trip. For even more details about how to use this app, read this article. Overall, GasBuddy is useful app for anyone that wants to lower their monthly gas bills. Here are few more benefits of using this app. GasBuddy might have a larger selection of tools and features compared to other apps, but that doesn’t mean it’s a complicated app in terms of usability. The app’s platform is simple to use and very easy to navigate. Using GasBuddy can save you a lot of money on gas each month. Just enter your zip code, state or city into the app, and you’ll see the best prices for gas in your area. It’s such a useful tool to have, as it means that you always pay the lowest price for fuel. If you have a long commute to work or travel frequently, then you’d definitely benefit from using it. This is another feature that really sets GasBuddy apart from the competition. With the app, you can read station reviews. While this aspect of the app doesn’t necessarily save you money, it’s still nice to be able to read what other customers have to say about a gas station, before you visit. Not only you can use GB online on your PC or laptop, but you can also download their free app for both Android and iOS devices so you can have it on the go. You can also use GasBuddy online here. While researching for this post, I noticed some people were having issues with the app. “GasBuddy app not working” was a common complaint many forum posters had. Some of them wanted to go back to the old version of GasBuddy. So, if you are one of them and are experiencing issues with the new version, there is a way to get the old version. You can simply go to a site like OldVersion.com and search for the app by name. If they have the older version (which in this case they do), you can install it the same way you would a newer version. To take your savings to the next level, take advantage of free gas station loyalty programs. These rewards programs earn you points for buying gas and snacks and you can redeem those points for free gift cards and discounts on gas. Check out our list of 31 best gas station reward programs. You can simply check the Gas Buddy app, and immediately see which gas station offers the best prices. It’s definitely worth installing for anyone that wants to cut down their fuel bills.